“Analog House gives a new perspective on Retrologue 2 and impressively demonstrates how versatile the synth can sound when it comes to up-to-the-minute electronic productions," said Matthias Quellman of Steinberg. 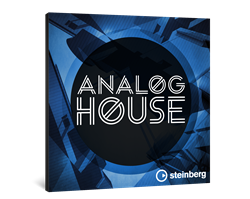 Steinberg Media Technologies GmbH today announced the release of Analog House, the latest expansion pack in the assorted line of VST Sound Instruments Sets. Ideal for House music productions, Analog House boasts progressive synthesizer sounds which are tailored to the widely acclaimed Retrologue 2 virtual analog synthesizer, available in the Cubase Pro 8.5 and Cubase Artist 8.5 music production systems, the Absolute 2 collection and as standalone instrument for other VST and AU compatible hosts. Produced together with Vandalism, a Poland-based label specializing in synthesizer sounds, patches and sample packs, Analog House comprises 150 intricately programmed presets for leads, bass, pads and effects that lean heavily on the many effects, modulators and arpeggios provided in the second iteration of Retrologue. Visit http://www.steinberg.net/analoghouse for details on Analog House. The VST Sound Instrument Set Analog House is exclusively available through the Steinberg Online Shop for US$24.99, shipping included. Visit http://www.steinberg.net for further details.